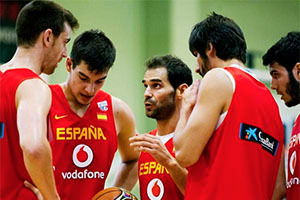 Home » Can Spain Triumph Against Team USA At The FIBA World Cup? Can Spain Triumph Against Team USA At The FIBA World Cup? As the host nation, and the second ranked team at the tournament, it seems as though the only chance that Team USA will not triumph at the 2014 FIBA World Cup will be down to Spain. Even with this in mind, all of our recommended basketball betting sites are still placing Team USA as clear favourites for the event, but is this underselling the hopes of the Spanish side? There is a lot to be said for playing at home at a major tournament, with the cheers of the home crowd providing players with an added dimension to their game. There is also the fact that Team USA has been besieged with drop-outs and players preferring to rest this summer for the upcoming NBA season as opposed to starring for their nation at the basketball world cup. If this attitude is held by some of the players in the Team USA roster in Spain, there could well be a shock on the cards. However, there is no denying that the American basketball team still contains a number of high quality players, regardless of who makes the cut for the main event. Regarded as the MVP for the 2013/14 NBA season, there is no doubt that Kevin Durant is seen as the key player for US hopes this summer. Durant knows what it takes to be a Team USA player in the biggest events, turning in a starring performance during the 2012 Olympic Games. Durant delivered an average of 19.5 points per game at that event, and he will be the main man for the Americans this summer. He may have featured for less than an hour at the 2012 Olympic Games, but this summer looks like being the one when Davis steps forward to play the role of the big man on the basketball court. When it comes to enforcing and protecting the rim, American success could depend on the quality of performance that Anthony Davis delivers. 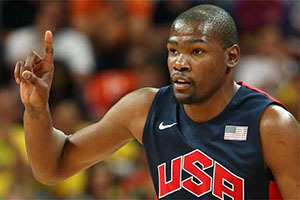 Another player who performed strongly at the 2012 Olympic Games, it is likely that Harden will provide much needed support to Durant on the court. The pair have been team-mates before and have worked well together, and often it is partnerships and connected play that makes the difference in international events. Kyrie Irving isn’t going to be the main man for Team USA this summer, but given that he will be playing alongside LeBron James in the coming season, this is something he should get used to as quickly as possible. When you need your team to contribute to the points that decide games, Irving will play a crucial role in this summer’s main event. Basketball is clearly a team game but if these players perform strongly, Team USA are likely to be in the running for success in Spain. With a number of names still to be cut from the Team USA roster, currently enjoying a training camp on American soil, it is difficult to say who the final squad will be, so some of the best players may miss out and there could be a surprise name or two involved. Clearly there has been a lot of focus on Derrick Rose in the build-up to the training camps and at the moment, all the noises being made about the player and his fitness are positive. There will be plenty of fans rooting for Rose to prove his fitness and then make a mark on the big summer event. You also have players like Steph Curry in the running to make their mark in Spain and fans of the Washington Wizards will be questioning if they really want John Wall and Bradley Beal to make the squad. 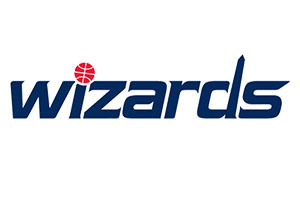 Fans want to see their players perform at the main stage but then again, if both players make the squad, Wizards fans, and indeed the coaches, will have concerns about their players getting injured or suffering from fatigue for next season. You may not find both players in the team, many experts expect Wall to miss out on the final squad, but even the training camp will provide both players with new experiences. There is also the fact that many people consider John Wall to be a player that thrives on adversity so if he is cut from the final roster, Wizards may get the benefit in the season ahead. Paul George and Kyle Corver will also be desperate to make their mark on the big event and when you think that Corver holds the NBA record for consecutive games where he has made a three point shot, 127, he is a player that can add a new dimension to a team, which is often vital in these tournaments. So, there are more than enough great players in Team USA to clinch the title but the host nation have plenty of excellent players who will be going for gold on home soil. Basketball is clearly a team game but if these players perform strongly, Team USA are likely to be in the running for success in Spain. However, the host nation have plenty of excellent players who will be going for gold on home soil. Calderon has achieved it all in European club basketball, in the NBA and in international tournaments. Calderon was a member of the Spanish side that triumphed in the 2006 FIBA World Cup and he was an integral component of the 2011 EuroBasket winning side. When it comes to having a player with confidence and experience on the major stage, Jose Calderon will be vital for Spanish hopes. Rodriguez is another member of the 2006 gold winning Spanish FIBA World Cup team and he has picked up silver medals at the FIBA EuroBasket and in the Olympic Games. He has played in the NBA and he is a star man for Real Madrid in Spain and in the Euroleague. Rodriguez was named as the Euroleague MVP, even though his club side tasted defeat in the final to Maccabi Electra Tel Aviv. Victor Claver may not have experienced much court time with the Portland Trail Blazers this season, but he was one of the first names pencilled into the Spanish roster. You often find that players that have something to prove are the most dangerous at these events and this is something Team USA has to be wary of. The Spanish coaches and fans know exactly what Claver delivers, and he will be a key player this summer. With a gold medal from the 2011 EuroBasket and a silver medal from the 2012 Olympics, Ibaka knows what it takes to go the distance in major events, and he has plenty of NBA experience. The fact that Ibaka has nicknames like Iblocka, Serge Protector and Air Congo, this is a player that is renowned for his defensive duties and he may be the player that provides the lock that propels Spain to glory this summer. 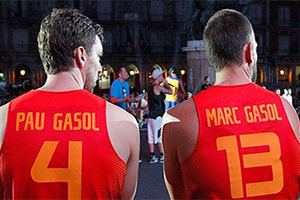 The Spanish national team can also call on the Gasol effect, with Pau and Marc both boasting top level NBA experience. Younger brother Marc plays for the Memphis Grizzlies and was included in the 2012 NBA All-Star game and was awarded the 2013 Defensive Player of the Year for the NBA. Pau has recently switched to the Chicago Bulls and he will be keen to show his new fans what he has in his locker before arriving for training. Spain can also call on Ricky Rubio, of the Minnesota Timberwolves and again, he is a player who has gold and silver medals from some of the biggest international basketball tournaments. Clearly the NBA is the pinnacle of domestic basketball leagues but the emergence of the Euroleague ensures that European based basketball players are playing at a high standard. When you add in the fact that the Spanish side has a combination of current NBA players, players who have plied their trade in the NBA and players that have tasted international success, there may not be a lot to choose between both sides. On paper, Team USA should be far stronger and the American side should be celebrating another basketball triumph. However, all of the different components may tip the balance in Spain’s favour and if the host nation were to triumph this summer, it wouldn’t be the biggest sporting upset or shock of the year. Team USA are undoubtedly favourites, as bookmakers such as Bet365 and Bwin indicate, but Spain will definitely fancy their chances to take the gold in the final scheduled for Sunday the 14th of September 2014.